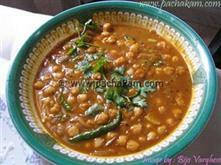 Green Gram or Cherupayar Curry is one of the easiest of dishes that can be prepared in a jiffy. 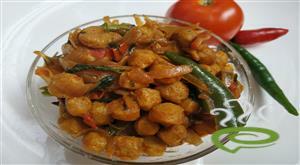 Cherupayar is nutritious and tasty and the dish goes well with rice and chappatis. 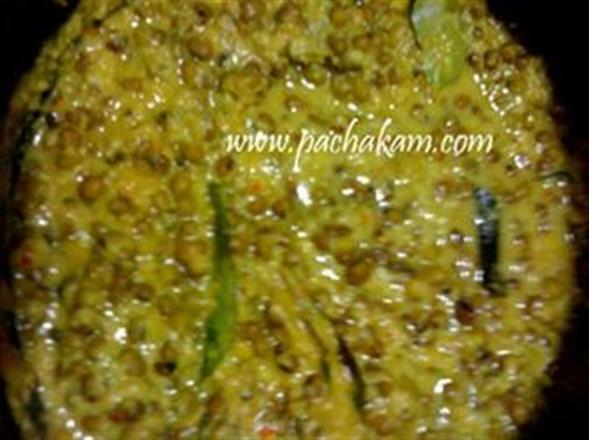 Kerala Cherupayar Curry is unique and special with cooked green gram blended with a spicy coconut mixture and seasoned with curry leaves. 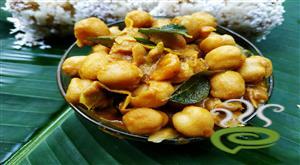 Kerala Cherupayar Curry is wholesome and very nutritious for kids. 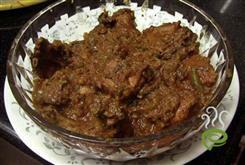 You can explore a well detailed Kerala Cherupayar Curry here. 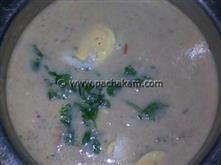 For preparing Kerala Cherupayar Curry, first cook cherupayar well in a pressure cooker. Meanwhile grind together coconut, cumin powder, turmuric powder, garlic, green chilli and salt. 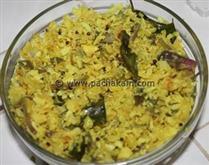 Add this mixture to the cooked cherupayar and bring to boil. Remove pan from fire. Heat oil and fry sliced shallots and curry leaves. Pour this seasoning into the prepared Cherupayar Curry. 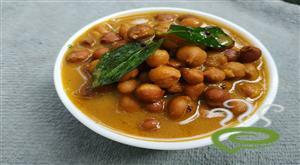 :- Serve Kerala Cherupayar Curry hot.